ouches such as flat bottom Pouch (box pouch), stand up pouch (with zip or without), shaped pouches, or retort pouches. The Servo mechanism system assures an exact and accurate filling operation. 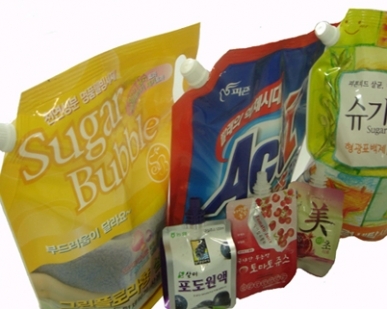 Automatic detection system stops the filling process when no pouch is present which reduces packaging and product loss. The photo-eye automatically adjusts filling positions. Safety management system alerts to an abnormal fill or machine error. Food Safety: Complies with GMP standard - all product contact parts are in stainless steel or food grade materials.